20 guests; recognition from stage at event; your name/company name as an Executive Producer Sponsor on printed materials including program, press releases, and on institute website; digital ad. 20 guests; recognition from stage at event; your name/company name as a Producer Sponsor on printed materials and on institute website; digital ad. 10 guests; recognition from stage at event; your name/company name as a Director Sponsor on printed materials and on institute website; digital ad. 10 guests; recognition from stage at event; your name/company name as a Cinematographer Sponsor on printed materials; digital ad. 10 guests; recognition from stage at event; your name/company name as a Screenwriter Sponsor; digital ad. In dozens of laboratories throughout the LA BioMed campus, researchers are working to unravel the mysteries of heart and kidney disease, cardiac complications in newborns, chronic lung disease, skin cancer, sickle cell disease, disorders of the autoimmune system, and more. Help support this research by contributing to our fundraising efforts. I have read and agree to the Terms and Conditions and give my consent to LA BioMed The Lundquist Institute to process my personal data. I understand I can revoke this consent at any time. Remember to check back every day for new items added! Click here to view items and start bidding! The Los Angeles Biomedical Research Institute (LA BioMed) is a 501(c)3 independent non-profit biomedical research organization that was founded in 1952. The Institute has over more than 120 principal investigators and 400 researchers in total - MD's, MD/PhD's, and PhD's - working on over 1,000 research studies. 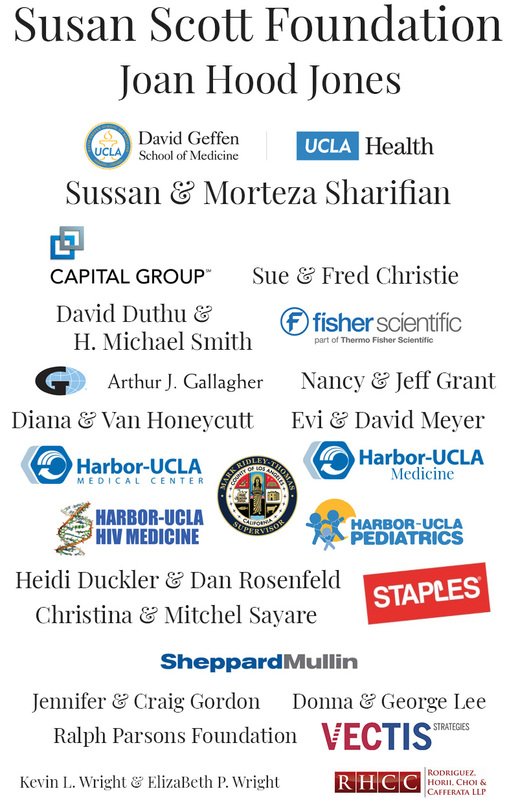 We are academically affiliated with the David Geffen School of Medicine at UCLA and work in partnership with the Harbor-UCLA Medical Center. Our research is funded by many sources including: grants from the NIH and other government entities, Industry and teaching contracts and royalties, as well as private donors and other non-profit foundations. We developed the training for (and coined the term) "Paramedics"
For information about LA BioMed, please visit our website at labiomed.org.